When you go to Route 22 straight away, you'll encounter your rival. He'll tell you about the Pokémon League and mention how he wasn't let past because he doesn't have any Gym Badges. He'll battle you again to test his strength. 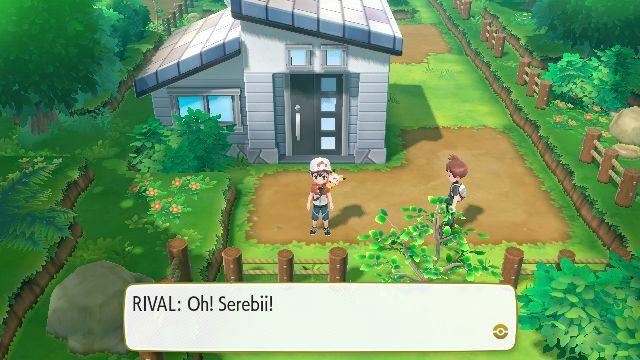 When you enter Pewter City, you'll bump into the rival once again. He will tell you about the Pokémon Gym and that it's run by a strong Gym Leader, claiming you need to battle them to get stronger. In a way to cheer you on, he gives you 5 Potions. When you go up to Route 24 from Cerulean City, you'll meet your rival again. He'll run down shocked and instantly challenge you to a battle. 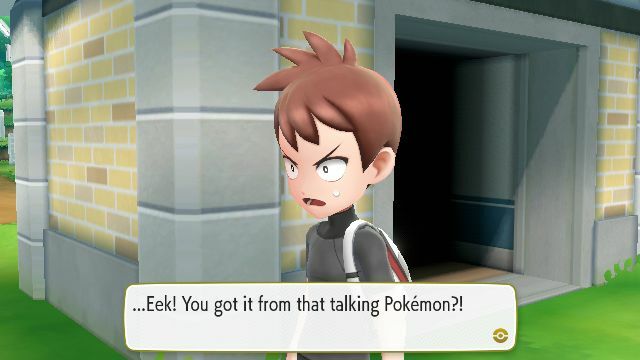 When defeated, he'll explain that he was stunned because he found a talking Pokémon in the house of a Pokémon Fanatic and advises you not to go there. After helping Bill in Route 25 transform himself back from being a Pokémon, you'll encounter the rival by the south exit to Saffron City. He'll mention that you can't pass through the gate and that you can take the Underground Path to Vermilion City. He'll give you a Revive he found in your hair as well as 2 additional Revives. He'll then notice you have a pair of S.S. Tickets and you give him one. He's then shocked it came from the talking Pokémon and will run ahead to Vermilion City. 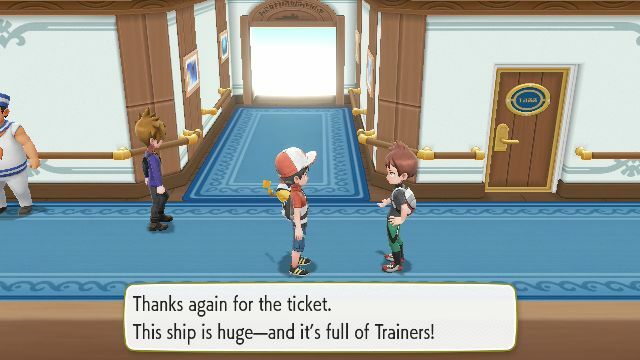 When entering the S.S. Anne, you'll bump into your Rival and Blue. 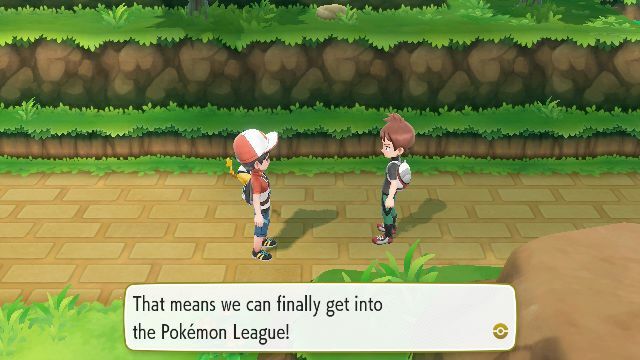 Your rival will be excited that there are lots of Trainers to battle and will rush ahead in the boat. 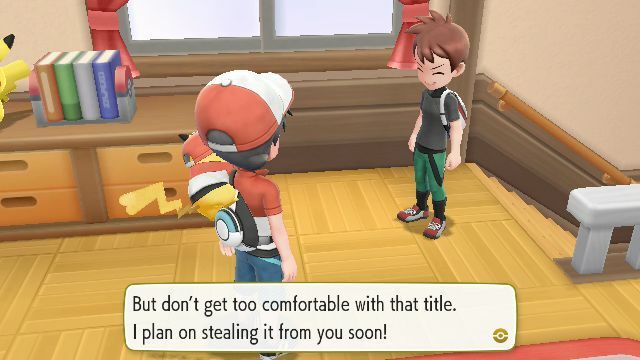 You'll then encounter him by the Captain's quarters where he mentions that he's seasick but can teach you a Secret Technique, but then decides to take a look to see how your Pokémon are doing by battling you. After beating Vermilion Gym, Misty motions you go back through Diglett's Cave. When you do and reach a house in Route 2, after you learn Light Up your rival will appear and offer to take you to Rock Tunnel, a cave he says requires Light Up. When you reach the Pokémon Tower, you'll encounter your rival again. He asks, shocked, if your Pokémon are dead, querying why you are there. 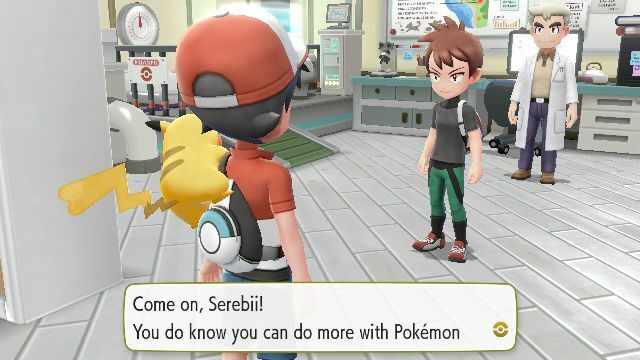 To make sure, he challenges you to another battle but this time his Starter Pokémon has evolved into either Jolteon or Raichu. After battling him, he'll mention how you both scared off a Cubone that is in there searching for its mother. 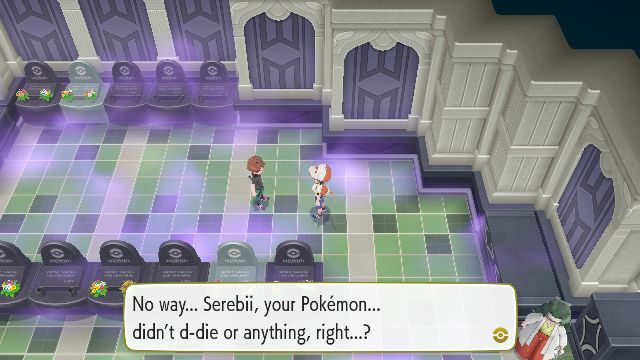 After defeating Team Rocket in Celadon City and gaining the Silph Scope, you can return to the Pokémon Tower and you'll find your rival talking about the Cubone and how it lost its mother to Team Rocket. He decides to help find the Cubone after it got rescued from Team Rocket. 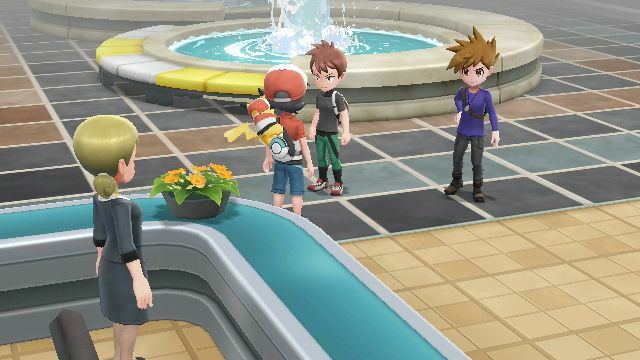 When your rival spots you, he insists you come with him into the Pokémon Tower and is stunned when the ghosts turn out to be Pokémon. After defeating Team Rocket in Celadon City and Pokémon Tower, you can enter Silph Co. when there, your rival will appear, as will Blue. 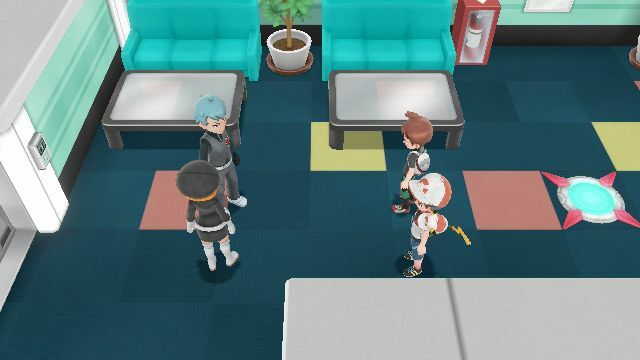 Blue will come up with a plan and suggest that your rival helps you through Team Rocket in Silph Co.
Later in Silph Co., you'll encounter your rival again when you encounter Archer. 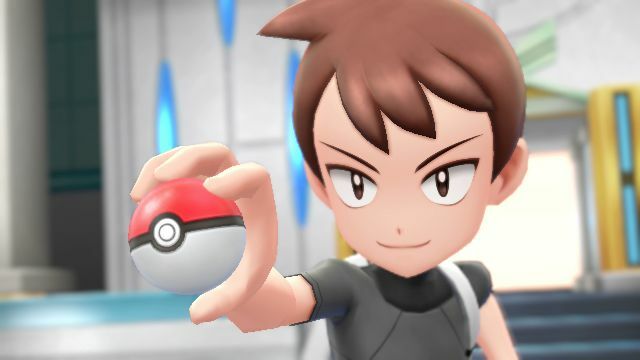 He'll join you in a Multi Battle where it shows that he has adopted the Cubone from Pokémon Tower as one of his Pokémon. 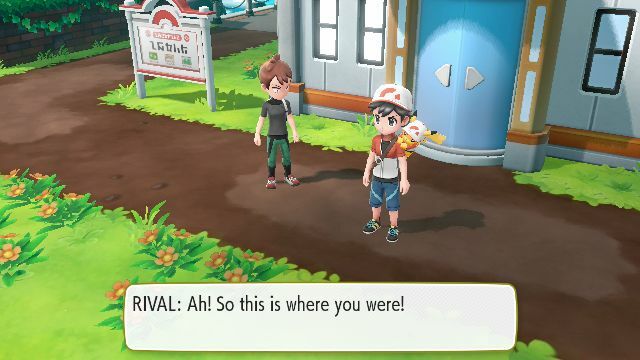 Later in Silph Co., you'll meet your rival again when Archer tries to stop you again. 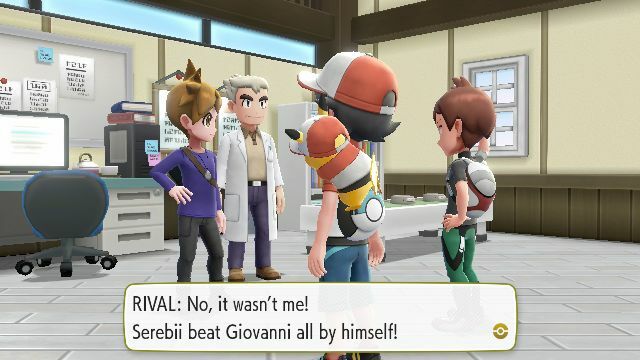 Your rival will stall Archer so you can go ahead and stop Giovanni once and for all. After beating Blaine in Cinnabar Island, you'll next encounter your rival outside of the gym. 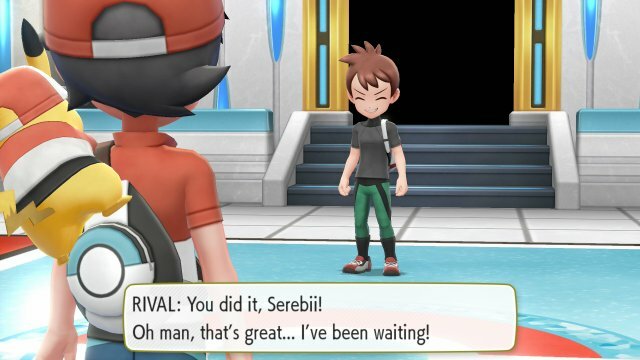 He congratulates you on your victory and then states that the next Gym is in Viridian City but it was closed last he checked. 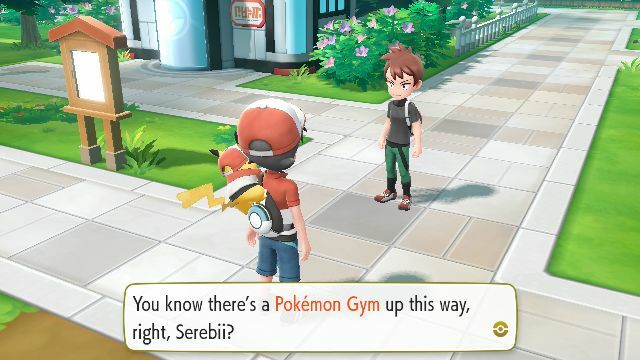 Get to Viridian City's gym and you'll find your rival trying to open the doors of the Gym with no luck. 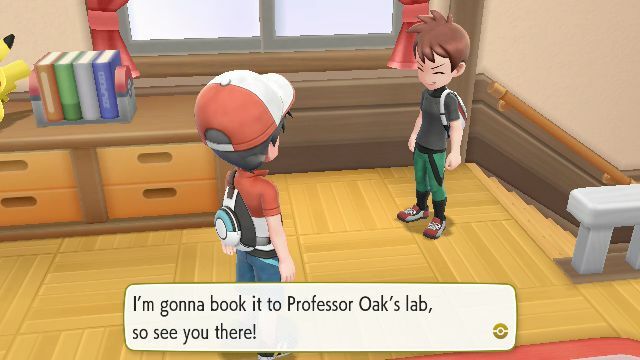 He asks who we should go to for help and, when you select Professor Oak, will take you to Pallet Town to talk to the Professor. 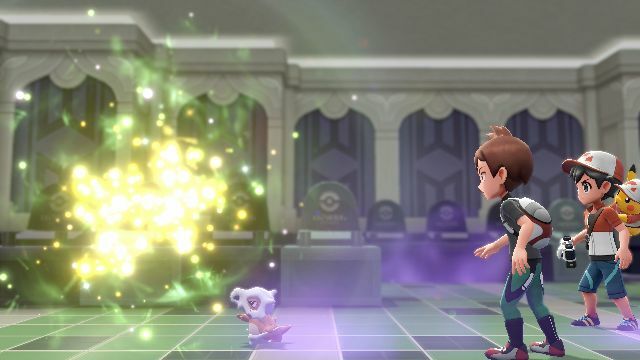 After speaking to Blue and the Professor, where your rival insists it was all your work, you and your rival receive the Key Stones to allow for Mega Evolution. 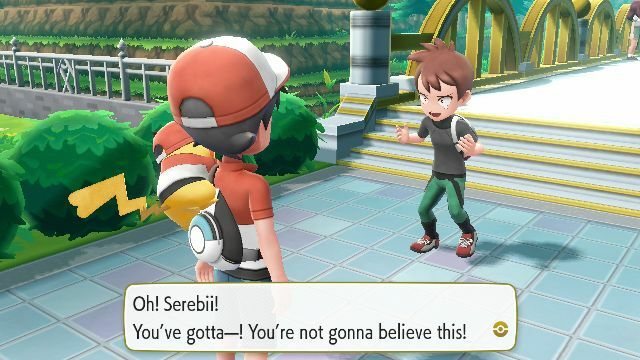 When heading to the Pokémon League, when you get to Route 22 your rival will stop you once again saying that he has all 8 badges and also intends to take on the league. he once again challenges you. When he loses, he says how he always felt he needed to look after you but that things have changed ans you have more skill. He goes on ahead to the league. 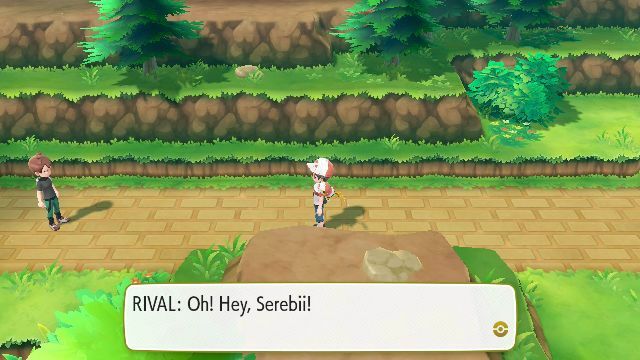 After beating him at the league, you'll encounter the Rival once more in your house, He will inform you of a mysterious Pokémon that was spotted by Cerulean City and recommends you go there to check it out..
After catching Mewtwo in Cerulean Cave, you'll encounter your rival again. Your rival is disheartened that you got the Pokémon before both him and a mysterious girl. 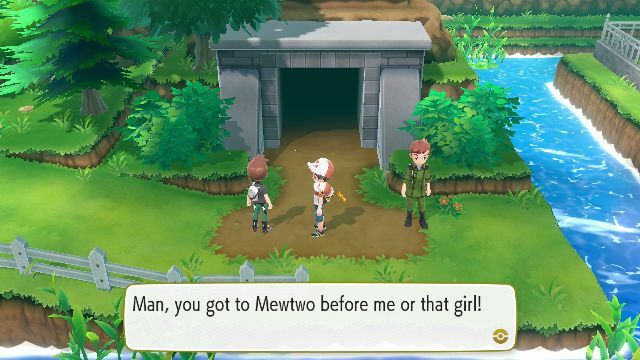 He tells you that the girl is a strong trainer who was looking for the Pokémon and says you should head back in to find her..
From here on, you will encounter your rival at the end of the Pokémon League each time you challenge it, this time with a stronger team.